I went on a bit of a makeup buying spree! I needed a few bits like another eyeliner and over £30 later I ended up with a bag full of goodies. Defining eyebrows has become a huge makeup trend and one I'm happy about due to my lack of eyebrows. Last Christmas I was luck enough to receive Benefit's BrowZings and it was the first time I'd tried a wax and powder approach but it was a total game changer! Now I love the Benefit version of this however I'm not loving the £33 price tag. I must admit I've literally only just started to run out of it, I have a good 3 weeks worth of product left too but as I was on a makeup buying frenzy I thought I'd plan ahead. 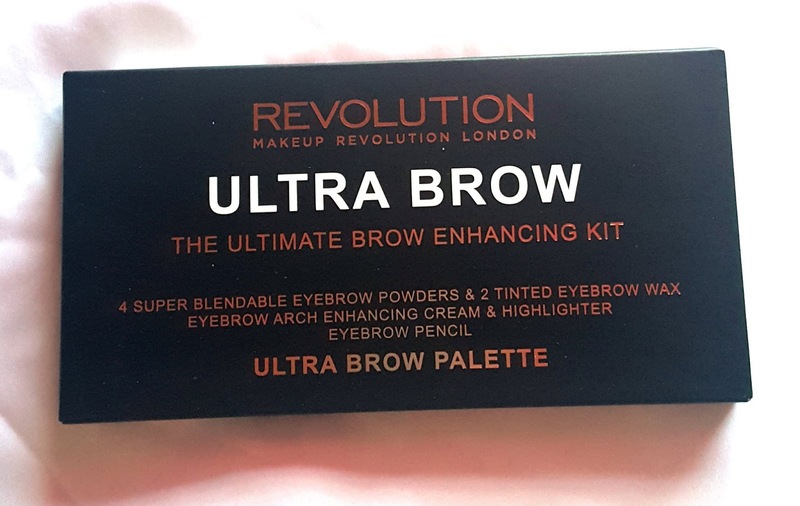 Now this Makeup Revolution Ultra Brow kit was an amazing £7.99 and you get a hell of a lot of product for your money. 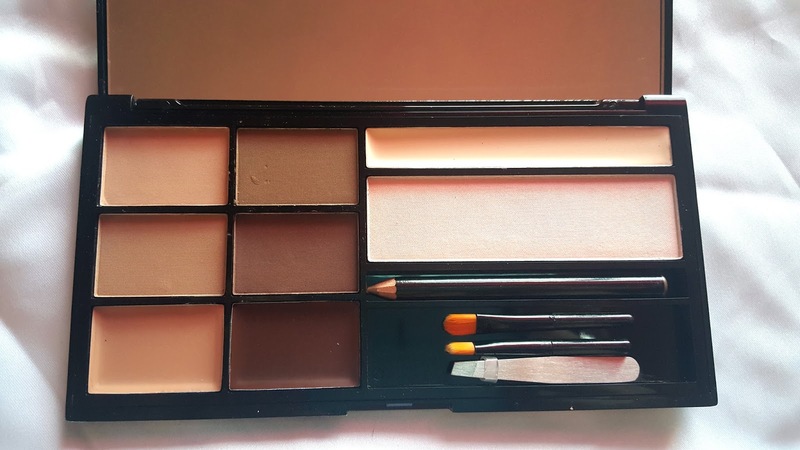 In the pack you get four powders, two tinted waxes, a highlighter, eyebrow arch enhancing cream, two brushes, a pair of tweezers and a pencil. Phew! I personally cannot manage without tinted wax. I've tired a few other versions and where my eyebrows are so sparse I can't see where I've put the wax so have no idea where to put the powder! The tinted wax gives you a perfect visual so it's super easy to apply the powder in the right places. I really liked the fact this kit has four powders. It enables you to pick a color that matches or create your own, it also means if I want a different look I've got the means to do it! The only downside I have with this pack is I don't think it's going to last me as long as the Benefit version. I do have to use more powder than I usually would but for the price, I really can't grumble. Overall I'm impressed with it! I picked mine up in a fair to medium colour palette but there are other choices! 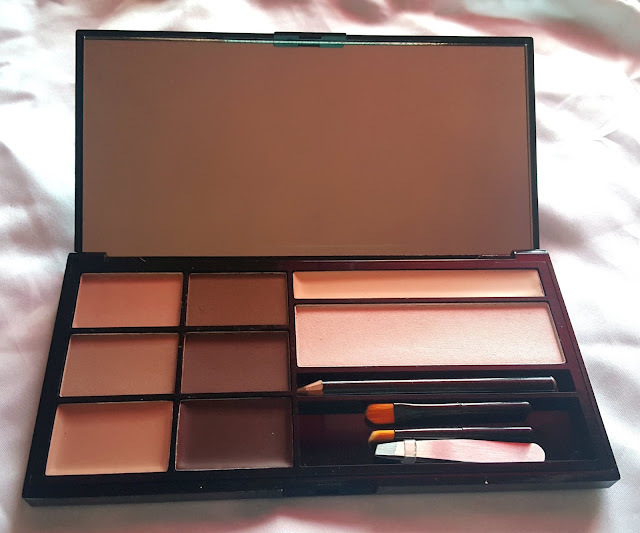 I don't think I'll miss the expensive competitor too much, even if it was a lot smaller so a bit easier to fit in my makeup bag! This kit has all the powders! Totally awesome for all year around for when your eyebrows lighten in the sun and for when they are their natural colour in winter. HEART MAKEUP REVOLUTION!